Guyana Amateur Basketball Federation (GABF) President Nigel Hinds and President of the Caribbean Basketball Confederation (CBC) Glyne Clarke yesterday penned the agreement confirming Guyana as hosts for the CBC u16 male and female championships from July 4th-16th. This follows a commitment by the Government of Guyana to pump some $20m into the staging of the championships here. 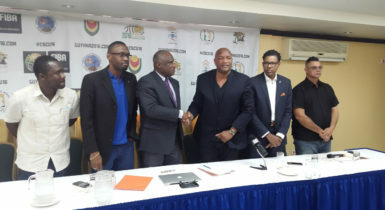 Clarke and CBC vice president of Finance and Marketing Patrick Haynes, are members of the CBC Executive Evaluation Commission which arrived here earlier in the week to ascertain the country’s readiness to stage the championships. Speaking at a press briefing held at the Cara Lodge, yesterday, Clarke said the CBC was thankful for the assistance of the Guyana Government in assisting basketball in such a magnanimous way. 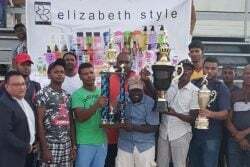 He noted that Guyana has always played a leading role within the region and said praise must be heaped on the GABF for taking the bold step to host the tourney. 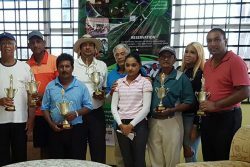 Declaring that the event will reignite the interest of the people in the discipline, Clarke thanked the government and all the relevant stakeholders for their assistance in making the tournament a reality on Guyanese soil. Hinds, a former national basketball player, in his remarks, said it was a milestone for the country to be able to stage the event. 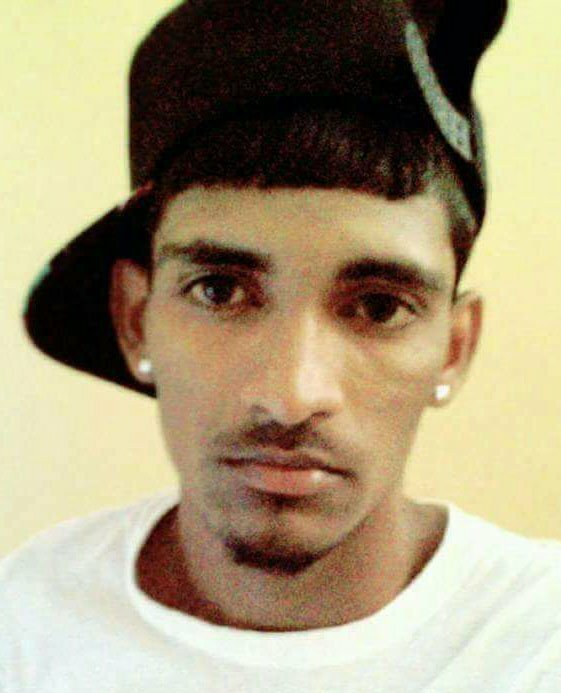 “The hosting of the tournament will reverberate for decades to come and will benefit Guyana’s basketball development and the quality of players we produce,” he stated. According to Hinds, the unfilled portion within junior basketball especially at the women’s level is unacceptable. 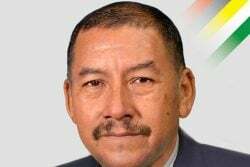 He also said that he was pleased to have the support of the government through the various entities such as the National Sports Commission (NSC) and the Ministry of Education as well as the Guyana Olympic Association in making the project a reality. 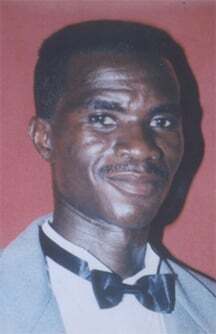 All the affiliates of the sport are required on board to make the venture a success, he added. 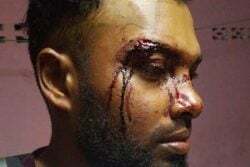 Asked if overseas-based players have signalled their intention to be members of both teams, Hinds said that whilst it was good to expose the local players, Guyana has to compete against countries with better programmes and the possibility exists that overseas-based players could be members of the squad as there are no restrictions at this level with the players needing only a Guyanese passport to be eligible. “We have already identified a few individuals that we are trying to encourage to come and train with the squad,” he declared. “We will name the squad three weeks to a month before the championships. With the youth tournament that is going on we don’t want them distracted from what we will be doing during that period they are together,” he added. Questioned if coaches for both teams have been identified, Hinds said while he wouldn’t want to disclose that at this moment, the entity has identified six coaches at a meeting and will identify a coach from the United States of America. “The executives will meet and decide who will be the head and assistant coaches for the both teams,” be added. Haynes said the intention is ensure the event is branded under FIBA regulations. He said that the CBC is working on having the respective matches broadcast live via the internet through the entity’s YouTube channel and on television locally. Also making comments was Director of Sports and Head of the National Sports Commission Christopher Jones who said like the GABF, he was excited to have the opportunity to host the event. 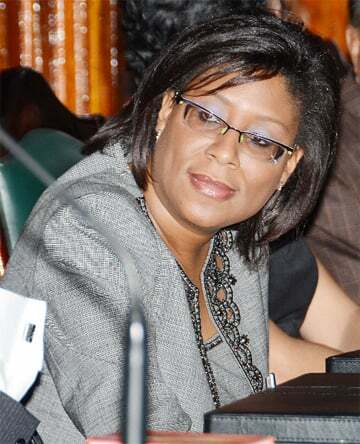 Jones stated that the NSC is committed to supporting the event and is working on ensuring that the two venues, the Cliff Anderson Sports Hall (CASH) and the National Gymnasium are ready for inspection in June. According to Jones, the works currently being undertaken at the match venue which is the CASH and the practice locale which is the National Gymnasium are to bring them up to FIBA standards, pointing out that it is part of a long term developmental programme and upon completion all disciplines that utilise the venue will benefit immensely. 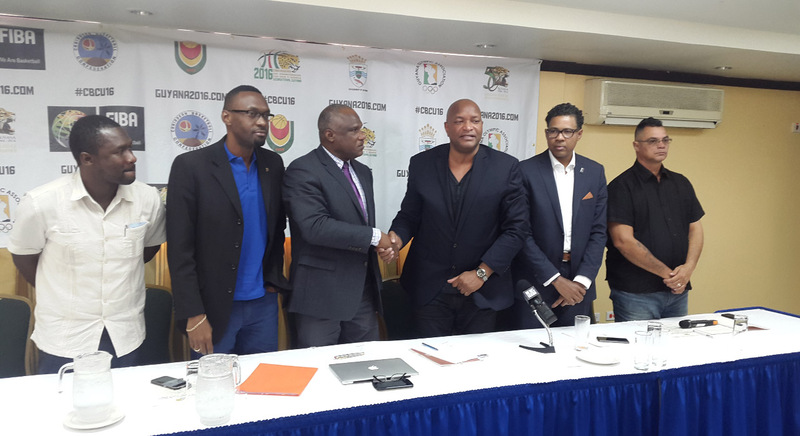 He called on corporate Guyana to throw its support behind the tourney because it’s simply more than a sporting event, declaring initiatives like this are part of a larger developmental push and will always receive support from the Government. Meanwhile Youth Basketball Guyana (YBG) Director Chris Bowman during brief remarks congratulated the GABF for making the event possible, stating his entity has been asked to aid in the preparation of the respective teams as they have been involved in youth basketball for many years at various levels. Asked about the makeup and the announcement of the squads, he said “We have a nucleus of players to look at from Linden, Berbice and Georgetown and it is just to bring them out in time so that they can get accustomed to playing with each other but it is important to know that our core athletes are constantly playing basketball and that I think will aid in how good both the male and female teams are,”. The CBC u16 Championships will qualify three teams to the 2017 Centro Basket U-17 Men and Women’s Championships. Presently, 10 male and seven female national setups have confirmed their participation. In the Men’s section, the likes of Antigua and Barbuda, Aruba, Bahamas, Barbados, British Virgin Islands, Dominica, Jamaica, Trinidad and Tobago, Suriname and the hosts Guyana will battle for glory. On the Women’s side, Antigua and Barbuda, Bahamas, Barbados, British Virgin Islands, Jamaica, Trinidad and Tobago and the hosts Guyana are the confirmed entrants. The Youth Championship was last held in St John’s, Antigua in 2008, with Bahamas emerging the winner of both the Men’s and Women’s Championships.